While the outcome has yet to be decided, the toll on the economy of the U.K. has been substantial. The movement toward Scottish independence from the U.K. has been building steadily, and while the outcome has yet to be decided after Thursday’s vote, the toll on the economy of the U.K. has been substantial. In the past month, investors have taken $27 billion from British financial assets and fled. That’s the largest amount to exit the country’s economy since the Lehman Brothers meltdown in 2008. Debate still rages over whether an independent Scotland can, or will, continue to use the pound sterling as its currency, with Scotland saying yea and London saying nay. And concerns have erupted over everything from North Sea oil to security to membership in the EU for a newly independent Scotland. Royal Bank of Scotland, Lloyds Banking Group, Clydesdale, Tesco Bank and others among other Scottish-based banks have said they’ll head south of the border should independence come to pass. So have Standard Life and Aegon. 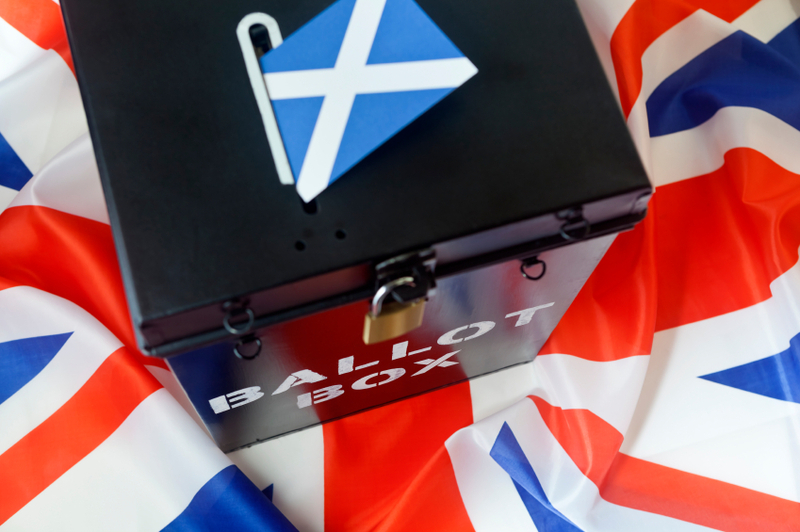 Retailers from supermarket chain Asda to John Lewis, B&Q and Marks & Spencer have all declared that prices will rise in Scotland if a yes vote carries the day, while one analyst raised the specter of the potential loss of the Royal Mail. John Blank, chief equity strategist for Zacks, has a very pragmatic view of the vote, which, he said, echoes the Quebecois movement for independence in Canada. Blank said, “This is a very shrewd decision by Scottish leadership, because they [the Scots] are going to lose and they’ve learned from Quebec what to get out of almost winning.” Even though Quebec lost not one but two referenda on independence, the vote was so close in the second that the relationship changed between Quebec and the Canadian government. The province of Quebec may have lost in a heartbreaker—50–49 percent—but in the aftermath, it gained considerably more sovereignty over its own operations. Not only has French been made the official language of the province, but its immigration policies have changed to favor those coming from French-speaking countries, such as Algeria and Morocco. In education, too, as well as taxation and cultural policies, Quebec has changed. Yet it hasn’t experienced the economic turmoil that London is promising for Scotland, should the yea-sayers win. Polls are tight, although most show a unionist outcome by a slim margin. However, one poll showed an independence victory by several percentage points, although it discounted those who said they were undecided. Still, it’s close enough that even the IMF is worried about possible fiscal turmoil in the event that the Scots achieve a victory. “In certain political battles, when you give up, you win. The English will keep the currency union, move more social spending to Glasgow, and move business and defense to Glasgow where it needs to be, so it’s all good,” Blank said.